It’s all well and good buying that £90 shirt you spotted online last night – but are you really going to get any use out of it? All too often we are guilty of buying clothes that might look great, but in reality we may never wear. Once the super-strong garment designed specifically for miners, cowboys and lumberjacks, jeans are now possibly the single most effective, iconic and popular piece of clothing available to men. With a countless number of designs, fits and colours to choose from, the outfit opportunities are never-ending. Yet when striving for ultimate versatility – which in essence is what this article is all about – there is one style that caters for all occasions: slim, dark denim. Why so? Slim-fit jeans are what you would call a happy medium: able to be incorporated into any outfit of your choice, smart or casual, without looking out of place. In comparison, looser fits naturally give off a more relaxed feel, which jars with tailored attire, while skinny cuts, due to their extremely tight fit, are an acquired taste and can easily throw out your outfit proportions. As previously mentioned, the styling opportunities are vast. Looking for a go-to casual ensemble? Try pairing yours with brown brogue boots, a button-down shirt and crew neck jumper. Prefer something smarter? Consider combining with a crisp white shirt, loafers and a navy blazer. By purchasing good quality denim, not only will you see a difference in appearance but you’ll reap the financial benefits too. Select the right jeans and they could potentially last years – especially with many specialist denim brands now offering aftercare services. Our suggestion would be to invest in raw (also known as dry) selvedge. Not only durable and hard-wearing, look after it correctly and this type of denim, over time, will develop its own personality. Due to its unwashed state, lightening of the material will form around areas that are most often used – including pockets and the area at the back of your knees – creating a unique and charismatic pair of jeans. If opting for this style, for an added touch of detailing, particularly within casual outfits, why not turn up the hem to show off the two selvedge edges? These days, ‘loafer’ is a blanket term that refers to a variety of slip-on shoes. Originally based on a Norwegian shoemaker’s design, they became popular with Americans in the 1930s after G.H. Bass started producing their own versions under the name Weejuns. 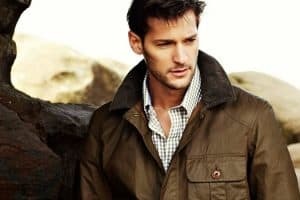 The silhouette has long been associated with Ivy League and preppy style, yet has only really started to experience a surge of popularity in Europe over the past couple of years. The loafer is available in many forms – the two most popular being penny and tasselled. The ‘penny’ is considered the original and was extremely popular with American prep school students in the 1950s. In fact, it’s said that they were given the name after college students began to put coins in the shoe’s ‘slot’, in order to make a fashion statement on campus. Tasselled loafers, on the other hand, do away with the slot and feature additional adornment in the form of – you guessed it – tassels. Again popular with ivy leaguers, the number of tassels applied varies (one or two being most common) and can sometimes be found in combination with other detailing, such as fringing. A smart and refined style, penny loafers are best integrated into a sophisticated wardrobe. Able to be dressed up or down to suit the occasion, they will instantly take a polo shirt and chinos combination up a notch, while more than holding their own when paired with a suit. Although plenty of brands now produce their own take on the penny loafer, the iconic Bass Weejun ‘Larson’ remains the most iconic and authentic version and often comes in rich, high shine leather, further emphasising their chic appearance. Tasselled loafers give off a more relaxed vibe and are therefore suitable for those who prefer a more casual (or smart-casual) approach to everyday dressing. However, don’t let their playful nature fool you – they were often used as a brogues replacement by sharply dressed East Coast prep school students in the 1950s, and still make a superb business-casual footwear choice. Try pairing tasselled loafers with a button-down shirt and rolled-up jeans for a casual Ivy League-inspired look, or wearing the penny design with a slim-cut tonic suit to give your outfit a smarter, mod-inspired edge. Whichever style you choose, rest assured your new loafers will slot seamlessly into your existing wardrobe. While shirts are widely considered a wardrobe staple, it is the button-down (collar) version that over time has proven most versatile. Originally made popular by Hollywood heart-throb Clark Gable – who became a lifetime fan of the Brooks Brothers’ version – the design is now an essential addition to the modern gent’s fashion arsenal. Whether worn underneath a crew/v–neck jumper or paired with a tie and blazer, the classic button-down can help give an otherwise ordinary look a subtle touch of individuality. We recommend throwing yours on with chinos and loafers for a casual spring/summer outfit, or combining with a suit and tie when looking to take the refinement up a notch. When it comes to making a purchase, there are two distinct types to look out for. 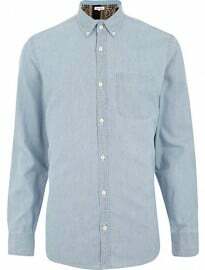 Style number one, the more casual option, is better known as the Oxford cloth button-down (or ‘OCBD’, for those in the know) and often made from 100 per cent cotton, which has a heavier, more textured feel. The second, better suited with smarter attire, is usually created from a mixture of cotton and polyester, giving it a lighter and more luxurious feel. Purchase a selection of these in neutral colours and they will form the backbone of your formal and business-casual wardrobe for years to come. For outfit inspiration, take a look at past style icons such as Cary Grant, Fred Astaire or John F. Kennedy – all of whom were big fans, much like Mr Gable. Although the blazer has quickly become a modern essential that can be worn both smart and casually, its origins actually lie in the regimented environment of the Royal Navy. It is said that in 1837 a young Queen Victoria paid a visit to a ship named the HMS Blazer. As legend has it, knowing Her Majesty would inspect his vessel, the style-conscious captain smartened up his crew by making them wear blue and white striped seamen’s sweaters and a black-buttoned, navy blue double-breasted jacket. Roughly 180 years on, it’s fair to say that not too much has changed. In fact, gentlemen across the globe are still using the blazer to give off the exact same impression. Whether attending a job interview, going on first date or visiting the in-laws, it’s the perfect way to show you a) mean business and b) know how to dress. However, while there are now endless designs to choose from, there is one particular style that is suitable for any occasion: the two-button navy blazer. Whether worn with dark denim jeans, loafers and a plain white shirt for a casual approach, or with matching trousers, tie, shirt and shoes for the office, the blazer is a key player in dressing well, and dressing intelligently. Before you rush to fetch your current one from the wardrobe, there is one thing you should be reminded of. When it comes to buttoning up your jacket, there’s a simple but fundamental style rule you need to remember: top button, optional; bottom button, never. Why? It’s advice that has been passed down from generations, and it is thought the original reason was to stop the jacket rising up when sitting down; leaving the second button unfastened allows the jack to neatly fall either side of your legs. In hindsight, not only will the jacket feel more comfortable, but it will look much better too. It might not be considered a particularly exciting garment, but the v-neck jumper is one of the most versatile pieces of clothing you can own. Whether you pair it with a shirt and blazer or a simple jeans and tee combination, you can guarantee it will always look and feel right at home. When considering colour, make sure you pick a hue that emphasises this versatility. Although a bright orange or yellow version may make a fashionable statement, it’s going to be difficult to integrate it within more than a handful of outfits. Timeless navy blue or dark grey would be a much better option. After all, when all of your bills have been paid, what’s stopping you buying that flamboyant number you have your eye on? In terms of material, merino wool styles are a considered choice that can be dressed up or down effortlessly. Their lightweight nature also helps to regulate body temperature and will not add too much bulk when layered. Finally, search for form-fitting styles that leave enough room to layer a shirt underneath. Ideally, the bottom of the jumper will finish just below your belt line and the sleeves should show around a quarter to half an inch of shirt cuff, depending on preference. Perhaps the best thing about these five items, other than their ability to be dressed up or down, is that they can all be worn together. Whether you choose to layer your button-down shirt underneath a v-neck and blazer, or match your loafers with some dark denim, you can rest assured you will be feeling and looking great. As always it would be great to hear your thoughts on the matter, and to find out what outfits you have been creating.